BabyTree Projects was born from the story of Koky Saly and his family, who came to Australia as refugees from Cambodia in 1980. 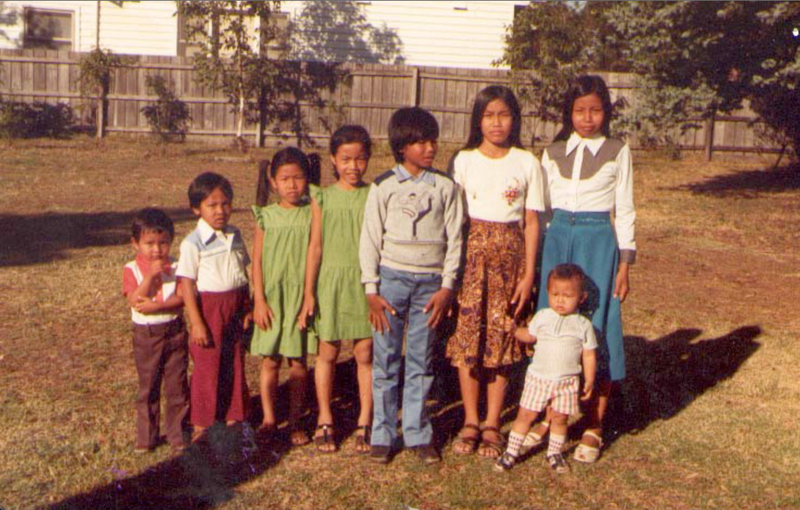 The Saly family in circa 1980, in a park near the hostel for refugees in Braybrook, Melbourne. Koky is on the far left. How does a child born in prison, imprisoned for three years and then starved, tortured and threatened with death choose to live life? And then he uses his most treasured possession, his time, to get as many people as possible to do the same thing. In the late 1970s an Australian charity helped the Saly family and their children to escape the desperate situation in Cambodia and to start a new life in Australia. The gravity of the situation was not lost on one of the youngest members, Koky Saly, who was inspired to help other in need, just as he and his family had been helped. In 2006, Koky, in participation with Orphfund, and with the assistance of many friends, family and associates raised money and a built a school in Sophy village. Sophy village is in Siem Reap province where 80 per cent of the children do not finish primary. The new school enabled many children to attend school as the overcrowded school was extended. Ongoing support for the school was provided including purchase of land for a school garden, a breakfast program and establishment of a library. In 2007 BTP was officially established as a charity with two branches: one in Australia and one in Japan. The dedicated volunteers worked tirelessly to raise money to fund a new school in Peam village, also in Siem Reap province. BTP volunteers travelled to Cambodia in December 2007 and work on the project was completed in February 2008, with the schools officially opening in April 2008. This was a great achievement for BTP, with its first stand-alone project completed. BTP facilitates visits from English teachers to live in the village and teach at the school and is providing ongoing support for many of the schools activities. Since this time BTP has been working extensively with Anlong Kraing (Big Hole) village in Kampong Thom Province. BTP constructed a school building there in January 2009 and constructed a secondary school building 10km away in Sambour village in 2012. In 2014, our fifth school opened, in Kep — in memory of Sophia Saly. BTP is also exploring ways to improve the quality of education, including providing visiting teachers, English classes, scholarships, teacher training and much more. In each of these school building projects, volunteers have travelled to Cambodia to live in the village, assist local builders in the construction of the school building and interact with children and other village members. The volunteers are encouraged to run classes for the school children, play games and attend village events. It is an amazing experience where they learn about Cambodian village life and culture and even pick up some Khmer along the way. Throughout each of these projects, in intervening trips to Cambodia and with our contacts on the ground, we scout for new villages that need and want assistance in establishing or extending a school. We consistently have several potential projects in our sights and visit our established projects regularly. 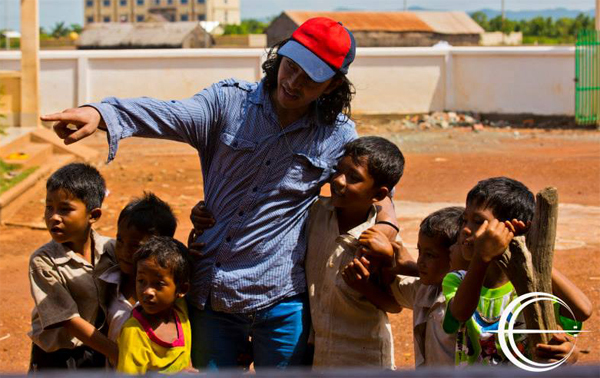 Many Cambodian children live in extremely difficult circumstances. These are areas in Cambodia that are heartbreakingly poor. In some parts, 90 per cent of the people live below the poverty line, 80 per cent of the people never complete primary school and 2 per cent go on to graduate from secondary school. These figures are not surprising when you consider that the struggle to survive consumes every adult, every child and every family. We focus on remote rural areas and only after talking with village leaders and meeting the villagers and the children do we commit to a project. Some of the children we meet are the most resourceful, intelligent and inspiring souls we have ever met. When we ask them what they want to be when they grow up their answers are in no way diminished by their circumstance. The one thing they all ask for is an opportunity, a chance. Give them this chance and they will never let go of it. BabyTree Projects’ (BTP) number one is to give them this chance. BTP also aspires to develop projects where children from all over the world help children in Cambodia. We believe that a young person who experiences the joy of helping others will want to carry this on into their adult lives. Our future and theirs depends on it.